Introduction: During the Fall of 2016, we shared with you our thoughts on a Search for one Candidate from Kistler Custom Rods Zbone series, the LEXF-3MH-70. Representing what can be achieved when you combine a minimal build with top end components and a Made in the USA pedigree, that stick won our Editor's Choice Award. 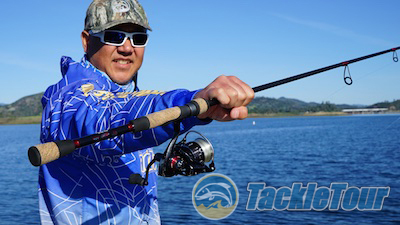 Today we take a look a the singular spinning rod from this same flagship lineup. Here now is the LEXF-2MS-70. 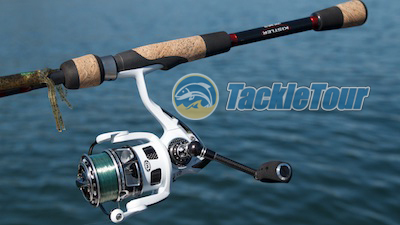 Time to check out the spinning rod in Kistler's ZBone LEXF series. The LEXF-2MS-70 is a 7'-0" medium powered stick. Impressions: Kistler's ZBone LEXF-2MS-70 is a seven foot even (7'-0") spinning rod build on a North Fork Composites HM series graphite blank. This blank is sanded and left unfinished and built up with Fuji KSeries, titanium framed micro guides with SiC inserts. It has an extra-fast taper and weighs only three point two ounces (3.2) ounces. 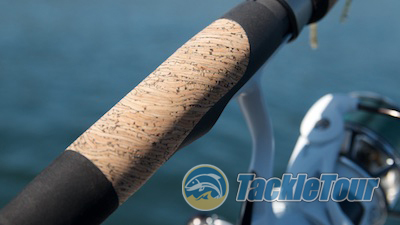 The rod's split rear grip is made of synthetic cork material and EVA Foam. Handle material on the LEXF-2MS-70 is mix of a rubberized synthetic cork and EVA foam. 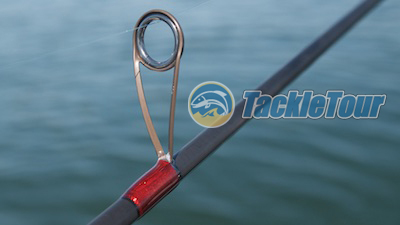 Kistler used to use a very simple, bent wire, open ended hook keeper but they now use a similar product of slightly more elegant design manufactured by Kigan. 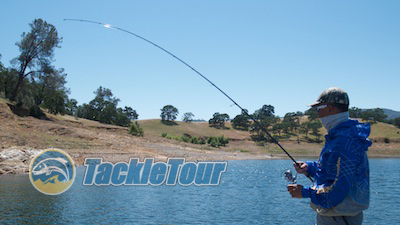 Fighting an undersized bass on Lake Berryessa, CA. Real World Tests: I fished this rod with a couple different reels and different types of fishing line. 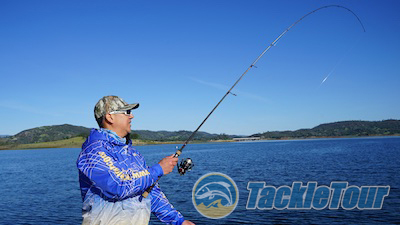 My preference is for a light fluorocarbon on spinning rods, but I also used nylon monofilament. Guides are Fuji KSeries micros with titanium frames and SiC inserts. Casting: The LEXF-2MS-70 is a medium powered rod with a lure rating of between one eighth and one half ounce (1/8-1/2oz). 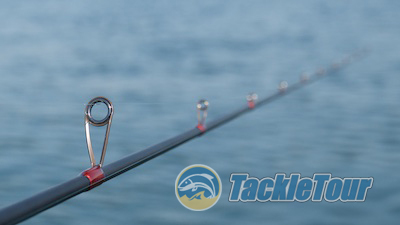 It handles this bait range quite well and that extra-fast taper makes it easy to cast your bait with a quick flick of the wrists but it also remains stout enough for you to pitch your bait to location instead if you so choose. The first two or three guides are conventional in size, but then they quickly scale down to micros towards the tip. I had no issues with the micro-guides, but I wasn't fishing in any water that was overrun with debris nor did I fish in super cold, icy conditions. If this describes any of the water you typically fish, micro-guides might not be for you. This stick is spec'd with an extra-fast tip.